All people worship something. As human beings, we “give worth” (worth-ship) to things, people, ideas, and values. As Christians, we have been reoriented to our life-giving Creator and Redeemer so that we might give Him our worship. Ever since the resurrection of Jesus Christ, his followers have gathered on Sunday, the first day of the week, to worship together. At Cornerstone Church, worship is at the center of who we are. The most important thing we do is gather each Sunday as one body to hear from God’s Word, receive His gifts of grace, and lift up His praise. We gather for Sunday school education at 9:45 am, and for corporate worship at 10:45 am. The service usually lasts about 75 minutes. For more information on our worship and liturgy, check out our bulletins in the "Sermons" section. God invites us to come into His presence, so we enter with joy and singing. When God calls us, He also wants us to admit our need for Him. We confess our sins together and God cleanses us in Christ with the promise of the Gospel. To be “consecrated” means to be set apart for a purpose or goal. We are consecrated by God’s Word as we then read from the Scriptures and hear a sermon based on the Bible. One way we respond to God’s Word is by giving to God’s mission in the world through His church. Having heard God’s Word to us, we speak our requests back to God, and we have fellowship with Him in our prayer together. We also have the Lord’s Supper at this time, a meal that expresses God’s communion with us. The end of the worship service is God sending us back into the world to be His witnesses with His blessing (benediction). For more on Cornerstone’s liturgy and sequence of worship, see this document by our pastor: "The Logic, Pattern, and Principles of Biblical Worship." At Cornerstone, we gladly use both older hymns and contemporary songs in our singing. 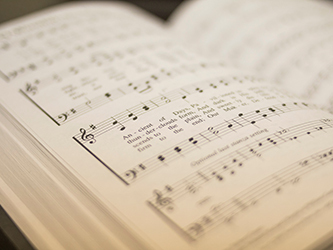 Hymns from long ago have stood the test of time and remind us that our faith is ancient and enduring; newer songs remind us that the Gospel is relevant for each new generation. What matters most in our singing is that God is glorified in the lyrics and normal people can sing the songs. We encourage all of the congregation to sing out joyfully and rigorously; the music in our worship is not a performance for the church but an element of the people’s worship which they offer to God. If you're interested in seeing the kinds of songs we sing, check out our bulletins which are posted with the Sermon Audio. Our worship is for all people. From the youngest to the oldest, families and singles, everyone is included in our worship and called to lift their voices to God. Children of all ages are welcome in the service. We love to have children participating with the whole church in worship ­– even if they are a bit squirmy! However, should parents want assistance with their young children, we have a nursery available with nursery volunteers. Please do not hesitate to ask! 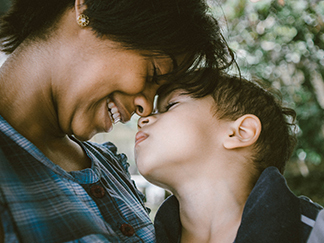 We’re ready to serve you and your children in any way we can. *Note that we also have devices for the hearing impaired, if needed.